Hypnosis for phobias Melbourne practitioners follow specific protocols to remove the subconscious cause of irrational fears. 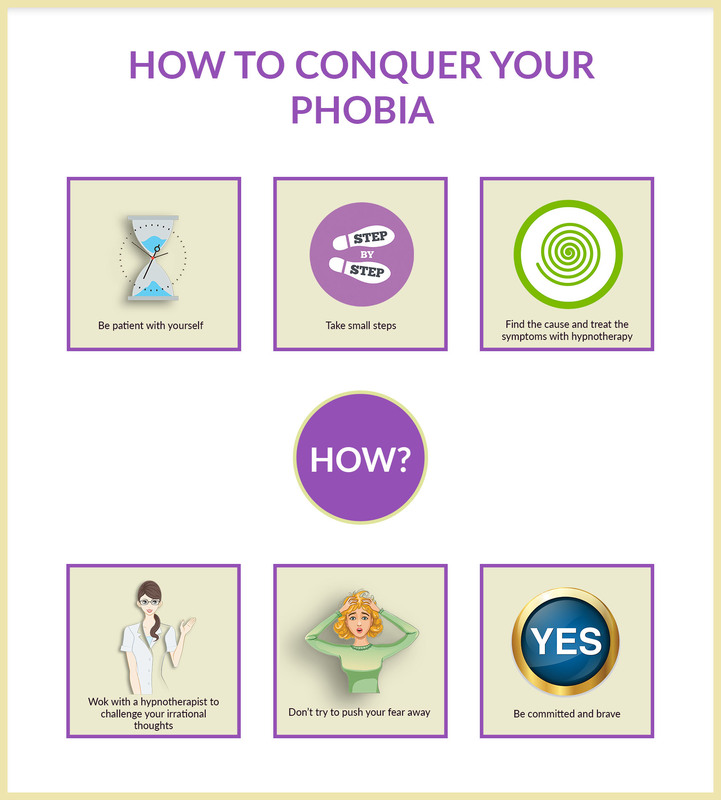 Phobias respond very well to hypnotherapy because often there is a single incident in your past (usually in childhood) which caused the fear in the first place. A professional consulting hypnotherapist uses specialised tools and techniques to take the client back to the incident that caused the phobia and help them reconcile with the situation and eliminate the fear. You can work with your hypnotherapist to locate the initial sensitizing event (ISE), and once she has diagnosed the source of the problem, she will employ strategic hypnosis techniques that remove the trigger and eliminate the subconscious ‘need’ for that irrational fear fairly quickly. These are a little more complex because they’re not caused by one specific event, but can have any number of contributing factors over many years. For example, if you have agoraphobia you may not necessarily have developed this fear or aversion when you were young, but later in life. This condition can often be caused by a series of events, situations and circumstances that have occurred over an extended period of time. Many of my clients suffered from generalized phobias and responded very well to treatment..
Generalised phobias often have other problems at their root, such as anxiety and low-self-esteem. This is why it’s important to treat this condition holistically to ensure a lasting effect. They also respond well to hypnosis and can be treated very effectively with the help of a qualified professional. This technique is an essential part of treating any irrational aversion. In a nutshell it means gradually exposing you to the source of your phobia over a period of time so that you become desensitised to the feelings of fear that arise. For example, if you were afraid of spiders I would start by working with you to find a specific situation which would trigger your fear but not overwhelm you. So, if you can look at a picture of a spider without getting anxious but you can’t watch a video, I would begin by exposing you to a short section of a video. As you are gently exposed to the video under my supervision, we work through the feelings of anxiety that come up using hypnosis, mindfulness and relaxation techniques. Then when you’re feeling stronger I would expose you to more and more situations until eventually, your fears are manageable. A qualified hypnotherapist can help you eliminate your fear and move on to live your life in a positive and constructive way. By working with the subconscious mind to remove the beliefs and mind blocks that are contributing to the problem, you can change your mindset and let go of your phobia. To read more about how this works please read the what is hypnosis page. Create a customized hypnosis plan designed to address your irrational fear, its causes and triggers. She was a quivering mess, pregnant with her first child and terrified of passing her phobia onto her first born. I used a combination of hypnosis and systematic desensitisation with Catherine, starting with a small portion of a spider photo (one quarter of a leg) and building upon that each week. Catherine was extremely apprehensive at the beginning. In fact she was so terrified that when I mentioned I had a photo of a spider sitting in the adjacent room this sent her into a panic attack (which we managed and alleviated). Nonetheless we persevered and Catherine enjoyed great success. By the time she finished her last session with me, she had watched the movie ‘Arachnophobia ‘ from start to finish without a hiccup. She felt confident that she could deal with the unwanted presence of a spider in her environment without going into a meltdown. If you have an irrational fear that is stopping you from living your life the way you want to, seek hypnosis phobias in Melbourne as soon as possible. I will teach you specific tools and techniques that will have you conquering your phobia in no time. Get in touch with me on my contact page if you would like to make a time to see me.